On Wednesday 24th August,2016, Unilia graduated over 100 students in different programmes in its 10th Congregation. 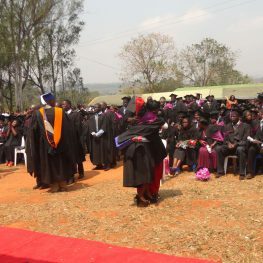 It was presided over by the Vice Chancellor of University of Livingstonia, Professor Yohane Nyasulu. It has several campuses namely, Laws and Ekwendeni.